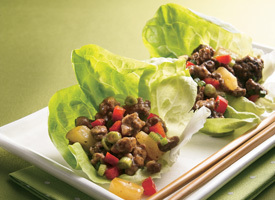 Omg I LOVE lettuce wraps. Have you ever had the ones at PF Changs?! Honestly my favorite food. This looks really similar but with a twist, I am so excited. Will try it out. Yum! I see why you make these weekly. They look really delicious and their low cal too, perfect amount for dinner or lunch. Thanks for sharing. Oooh such a fun twist to add the fruit! and such a pretty presentation! Yummy! 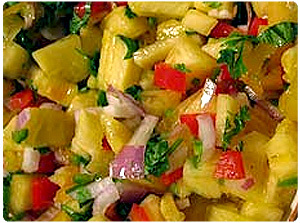 Thank you soo much for sharing this recipe!